Still on my ‘journey’ of the north of Italy, I have given myself a subconscious brief to limit the number of pasta dishes as possible. This Easter weekend I popped my cherry & am no longer a gnocchi making virgin. And you know what??? It’s not as scary as it sometimes looks. This recipe is from the Aosta Valley, the smallest region in Italian up in the Alps. FACT! 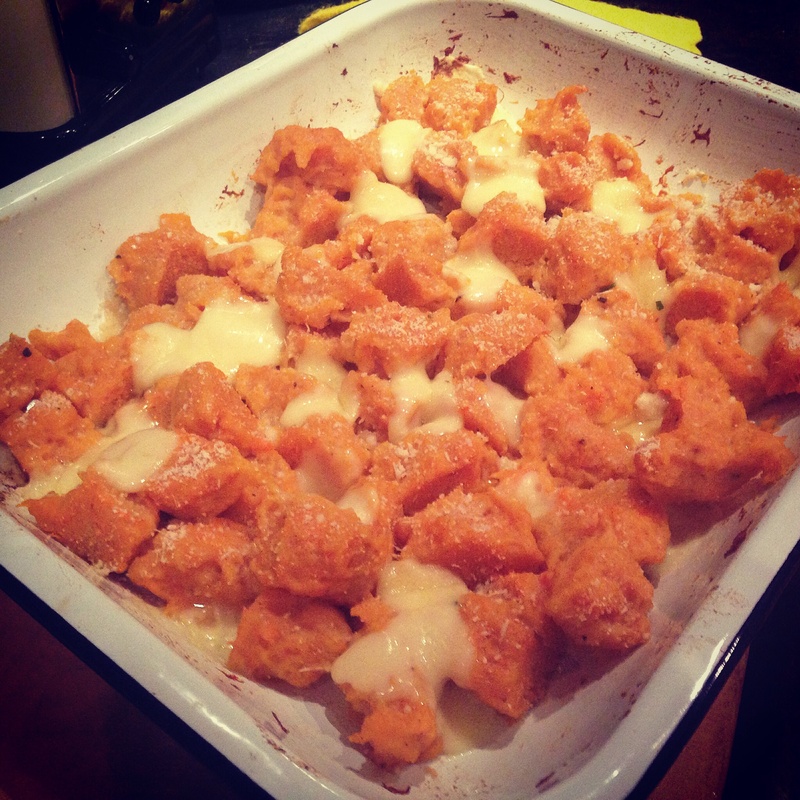 Prepare the butternut squash by chopping up into large chunks, place in a baking tray and roast foR bout 45 minutes. Remove & let it cool down. Remove the skin and then mash finely. Mix in the flour, egg, nutmeg & season with Salt & Pepper until all well combined. Boil salted water and with a tea spoon making little small dumplings and drop into the water. As soon as the gnocchi float to the surface of the water, remove with a slotted spoon and place in a baking tray. Drizzle with melted butter & Sage. Then sprinkle with Parmesan and layer slices of Fontina on top. Bake for 10 minutes until cheese has melted.